Ah... Paris in the rain. 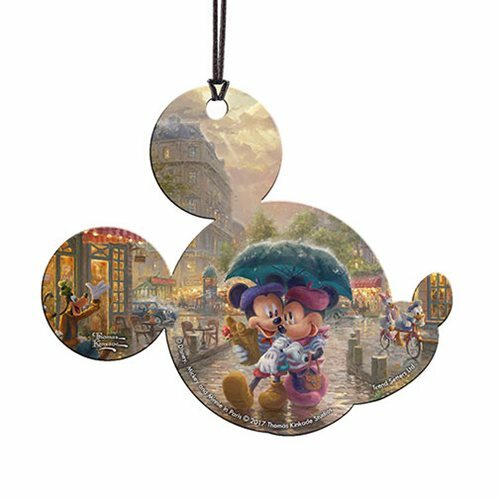 In the shape of Mickey's iconic silhouette, this touching Mickey and Minnie in Paris Thomas Kinkade Hanging Acrylic Print features lovebirds Mickey and Minnie Mouse sharing an umbrella. The perfect addition to your window, Christmas tree, handbag, or backpack, it measures about 4-inches wide x 3 1/2-inches tall.